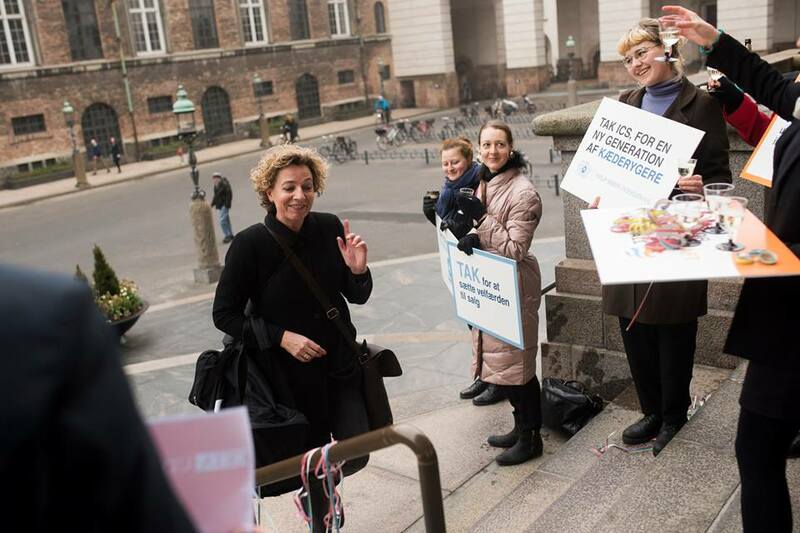 Members from the Friends of the Earth organization in Denmark (NOAH) greeted the politicians in front of the parliament building, in the morning of March 14. The activists pointed out the consequences of the agreement on people and the environment. The action was a reference to the investment of CETA (Comprehensive Economic and Trade Agreement) which enables foreign companies to sue states if they introduce legislation that reduces the company`s profits. “The agreement gives special rights to businesses and investors. We do not know whether the agreement is in line with the EU Treaties and we should therefore have a referendum,” says Nanna L. Clifforth from NOAH Friends of the Earth Denmark.